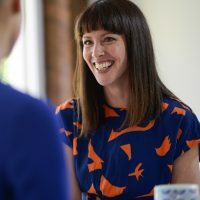 Looking for a speaker with a difference for Womens day 2019 ? Let us help you stage a memorable event for a small or large audience, all of our speakers are relevant, authentic and engaging. If you are after gender equality, diversity speakers head over here or if you are a smaller business, community group or want a more wholistic event, this is the place for you. Charities, not-for-profits or students, contact us to learn more about our pro bono speakers program. 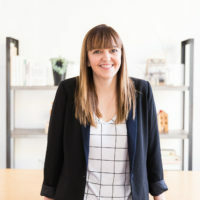 Kylie is an executive coach, consultant, facilitator, speaker, and author of The Leap Stories (book and blog) featuring stories of people who have taken courageous leaps in their working lives, and host of the In The Company podcast, insights on humanising work. Kylie wants to move people to think more deeply about the things that matter to them in the lives, and to build the courage to act in small ways, everyday. What do you care about? What gives you energy? What does the world need more of? What do you need more of? What will be your legacy? What’s holding you back? What would you do if you weren’t afraid? What can you do? When can you start? Kylie holds the view that the quality of our life is determined by the questions we dare to ask ourselves, and the courage to answer them with wholehearted honesty. 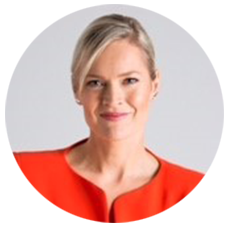 Kylie is an accredited facilitator of Dr Brené Brown’s Daring Way™ and Rising Strong™ curriculum, and has undertaken studies in the neuroscience of powerful conversations. 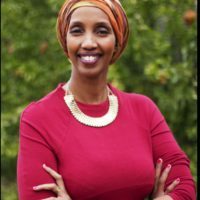 At age 30, Mariam Issa moved to Melbourne, Australia, from her Somali homeland with her husband, four children and a fifth on the way. Far away from the tight communities and families in Somalia, Mariam found herself in a foreign country that had a foreign language and a foreign culture. For a decade she navigated depression, the victim phase, an anger phase, and finally, arriving at the activist phase. Through her powerful stories that tell her trials and tribulations, she has inspired countless women who have had similar experiences to stop seeing themselves as victims, but to see the butterfly within in order to achieve their fullest potential. Mariam is the author of, “A Resilient Life,” co-founder of RAW (Resilient Aspiring Women),sits on the board of Asylum Seekers Resource Centre, serves as an ambassador for Refugee Council of Australia and a Director at Family Peace. She is an International Women’s Forum member and co-founder of Space2b, an art and design-based social enterprise and was awarded the Ambassador of Peace award from the Universal Peace Federation. Bring Mariam to you as a keynote speaker or as part of one of our ‘Thriving in 2019’ panels. Her passion for wholefood, cooking and using food as medicine led her to create My Wholefood Romance as a means of inspiring others to fall in love with home cooking and the benefits of wholefood. A gut health aficionado, Meg has written the book Cultured and Fermented Beverages. Today, Meg creates nourishing, wholefood recipes, beautiful photography and engaging content for magazine publications, health workshops, feature articles, and other special projects – including My Whole-food Romance blog. She is a nutritional columnist for EatWell Magazine, lectures at some of Melbourne’s natural medicine colleges, and shares her enthusiasm, passion and knowledge through various workshops and presentations. Bring Meg to you as a keynote speaker or as part of one of our ‘Thriving in 2019’ panels. In her late thirties, Mel felt a little bit like life as as knew it was over. She had spent most of the decade deep in the role of motherhood with 3 young children, and while there is no doubting they were her proudest achievement and greatest joy, she often felt she had lost the true essence of who she was. She put her wants and desires at the bottom of the pile. She reinvented herself and now dedicates herself to empowering others to do the same. Melissa is a certified life coach with the Beautiful You Coaching Academy, and have spent much of her life on a quest for knowledge (she holds Bachelor of Economics and Graduate & Post Graduate Degrees in Psychology). 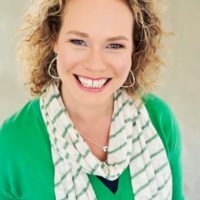 Based in Bayside Melbourne, she spends her days coaching wonderful women (both in person and via Skype) and runs the Bayside Womens circles, various workshops and retreats for women and tween/teen girls. Bring Mel to you as a keynote speaker or as part of one of our ‘Thriving in 2019’ panels. Kemi is committed to shifting the way women feel about themselves and express themselves in the world. She is an author and ICF credentialed life coach who has worked in the wellness industry for more than two decades. As a regular media commentator who has been featured on ABC television, Kemi knows how to captivate a crowd. She is a dedicated executive coach and is in demand as a public speaker. Bring Kemi to you as a keynote speaker or as part of one of our ‘Thriving in 2019’ panels. Our engaging empowerment, diversity and gender equality speakers can be found here. Posted in Career insights, Find a speaker.